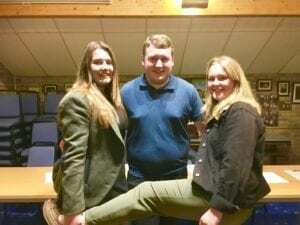 Leek YFC have a new top table for 2017-18. Andrew Hill has been elected as Chairman, Beth Hicklin as Secretary and Meg Barnes as Treasurer. They have lots planned for Leek YFC so pop down to Leek Hockey Club on a Wednesday night to find out more!